March 18, 2019  There's something extra special about going to visit an artist in the place where it all began. 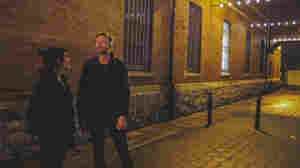 March 20, 2017  Over nearly two decades, the Irish band has mastered melodic indie pop that is bright, thoughtful and gracefully rough around the edges. March 17, 2014  Aside from U2, Bell X1 is the Irish band with the most airplay in their native country. 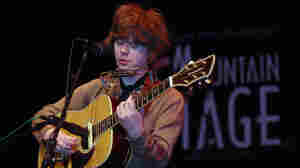 The group has a hybrid sound informed by several styles of rock and pop, but they retain a certain "Irishness." March 13, 2009  The Irish pop-rock band Bell X1 has brought its catchy riffs and smart lyrics to America in recent years, long after the group had already become a reliable hitmaker in its homeland. 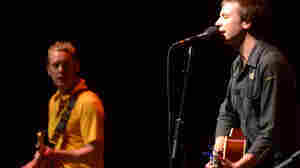 Hear Bell X1 perform live in concert from WXPN and World Cafe Live in Philadelphia. March 7, 2009  Frontman Paul Noonan and guitarist Dave Geraghty have an organic approach to starting a new record, hoping to take the image they've created for themselves and challenge it. On Blue Lights on the Runway, Bell X1 explores the electronic side of their music, departing from the more radio-friendly pop songs of Flock. September 19, 2008  The Irish pop-rock band Bell X1 has taken a circuitous path to worldwide success: After years of fame in Ireland, the band finally has a U.S. label deal and a growing following here. Hear the group perform live in concert from WXPN and World Café Live in Philadelphia. July 22, 2008  Famous in its native Ireland, the pop-rock band saw its U.S. fan base multiply when its music was used on The O.C. and Grey's Anatomy. 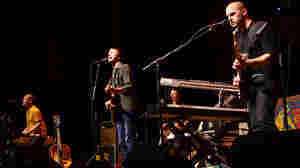 Bell X1 recently crossed the Atlantic for a tour stop at West Virginia's Mountain Stage. July 11, 2011  Bell X1 is one of the biggest bands in Ireland. Hear and watch a live performance from the band at the Guiness Storehouse in Dublin during World Cafe's recent trip across the Atlantic. March 8, 2011  Rock group Bell X1, vocalist Mary Black and singer-songwriter Fionn Regan exhibit the range of contemporary Irish music on West Virginia's most famous stage. February 26, 2008  Calling to mind early Radiohead, the Irish band Bell X1 crafts melodic, radio-friendly pop. Flock topped the Irish album charts in 2005, but it's only just been reissued in the U.S., with an ambitious tour to follow. Hear an interview and performance.